Paws Aboard Dog Ladder and RampSome dogs are great swimmers; others never will be because of fear of the water or because they are just not anatomically built for swimming (like long dogs with short legs). But boating enthusiasts who are dog lovers find ways to take both swimmers and non-swimmers on their boats - to enjoy the water or enjoy the weather. Depending on how long you will be 'at sea' with your dog, you'll need enough food, bottled water, bedding and and medication she might take. 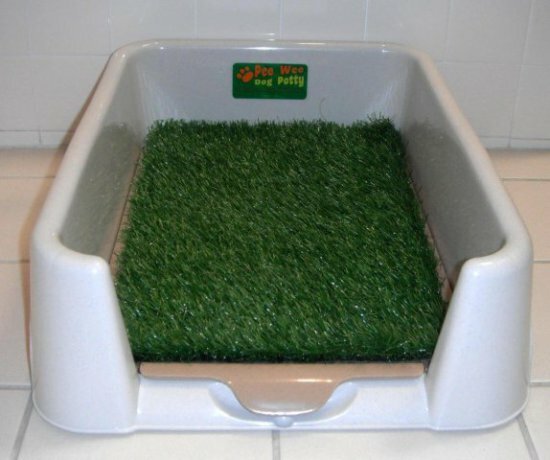 Your dog should be crated at night, or kept in a closed compartment with you, so she does not wander off. A basic first aid training book and a first aid kit for your dog should be packed. 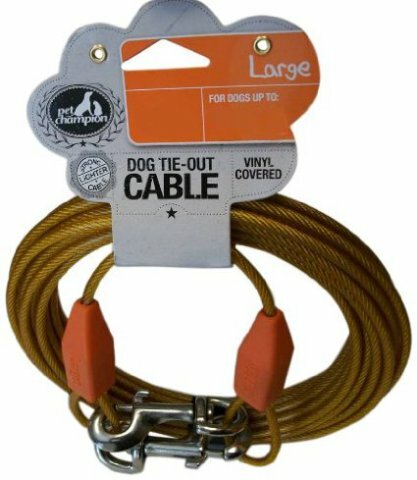 Here are 9 additional must have items to bring along for your dog before you pick up anchor. No matter how good a swimmer you have, you must have a life jacket for your dog on board your boat. And just think of how important a life jacket is if your dog can't swim! 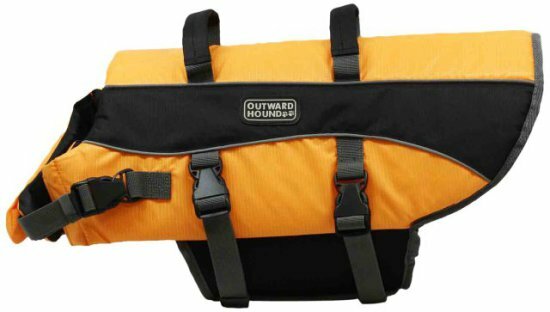 I have taken my dogs swimming frequently in the ocean and always use the nylon Kygen Outward Hound Life Jacket for them; it's lightweight but provides a secure fit and I can easily haul the dogs around from the top handle if they get tired. But I also see a lot of dogs that use the neoprene Paws Aboard Life Jacket too. Unless you have a hydraulic dog ramp, which costs some mighty big bucks, you will need a strong and steady means of getting your dog back into the boat. 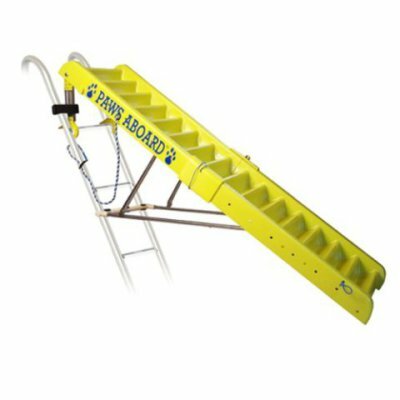 You will need to train your dog to use the Paws Aboard Boat Ladder and Ramp, on land and/or in shallow water, but once she learns, climbing it from deeper water will come naturally to her. Go with her into the water and lead her up the plank. She might want to go into the water using the plank, but most importantly, she needs to learn to walk up the plank to get out of the water. As you get into slightly deeper water, you can guide her with your body or by using her life jacket or a leash attached to a harness to guide her. Do not use a neck collar to pull your dog while in the water. 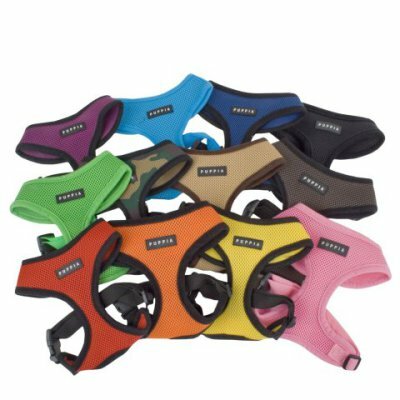 I've been a big fan of Puppia Harnesses since they first came out. 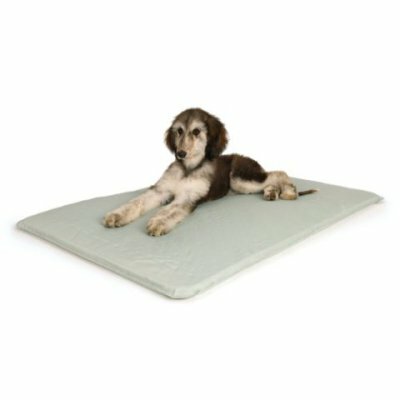 They're great for small to medium dogs who pull because the Puppia's have a soft front that doesn't dig into their chests, but they come in sizes all the way up to XXLarge for the big guys too. Honestly though, any harness that will restrain your dog without hurting him will do while he's lounging around on your boat. Dogs get cataracts in their eyes, just like people do. Small to medium size dogs are especially vulnerable to cataracts, and cataracts are the leading cause of blindness in dogs. With that in mind you should do whatever you can to prevent them or minimize the harmful impact of the sun on your dog's eyes. 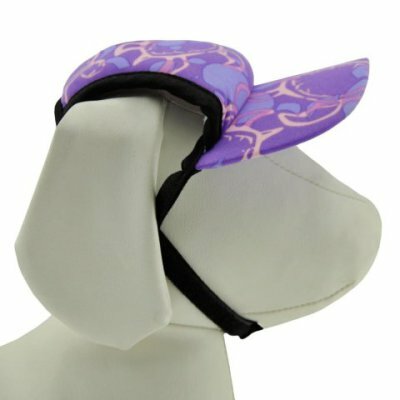 The PlayaPup Sun Protective Dog Visors, with a UPF of 50, help to protect your dog's eyes from sun damage, and will be useful not only when all paws are on deck, but when they're on land as well. The PlayaPups come in several sizes and in many great colors and patterns. Doggles are another step you can take to protect your dog's eyes. Doggles smoke colored lenses block 100 percent of the sun's harmful rays. I have trained all my dogs to wear Doggles - you have to start little by little, day by day, outside of your home, maybe on a walk. On a boat dogs can wear their Doggles on deck and, in the water, they are great to protect them from glare as well as from foreign bodies entering their eyes. Dogs can see fine through the lenses, which are polycarbonate, just like most of ours. 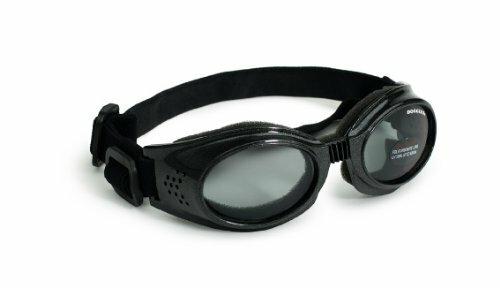 Doggles are pretty much water tight too, so I use them on my dogs in chlorinated pools and salt water. The Doggle frames comes in different colors, but make sure that for eye protection you choose the smoke colored lenses. Epi-Pet is an FDA approved sunscreen for dogs and horses. It should be applied to the skin and especially used on dogs with light colored fur and/or skin and thin fur, short fur, or shaved fur. 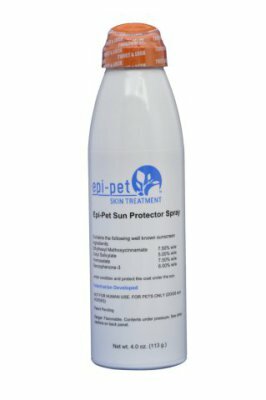 Though Epi-Pet Sun Protector Spray is waterproof, you should apply it every few times your dog gets wet. It should be applied daily when your dog is in the sun - dogs with light-skinned or light-colored fur can get sunburned easily, just like light-skinned people! Do not used human sunscreen on your dogs! They might lick up harmful chemicals. 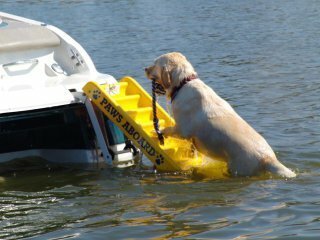 Enjoy boating with your dogs, but keep them safe and cool! 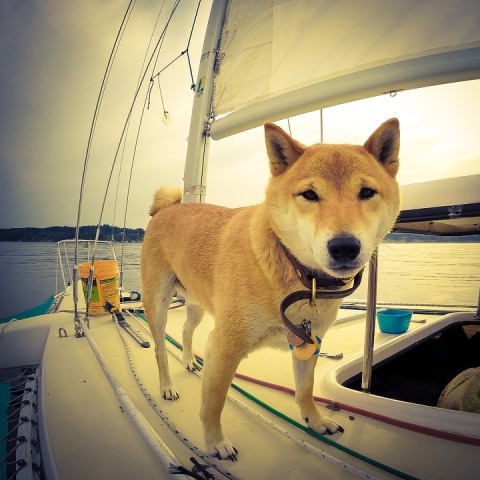 For more information about boating with dogs, visit these pages: Vet Live, Humane Society, VetStreet, and BoatUS.com. Originally published June 2014 and updated last on June 2015. Want To Make Fortune Cookies With Your Own Fortunes?